Akal Takht Jathedar Giani Gurbachan Singh has objected to a proposal by a Youth Congress leader to install a statue of former Prime Minister Indira Gandhi at the Congress Bhavan in Ludhiana. Talking to media in Amritsar on Monday, the Jathedar said, “Congress-led Punjab government has decided to install the statue of Indira Gandhi in Ludhiana. Sikhs will not tolerate any such move to disturb peace.” The Ludhiana unit of the Congress, meanwhile, has distanced itself from the move. 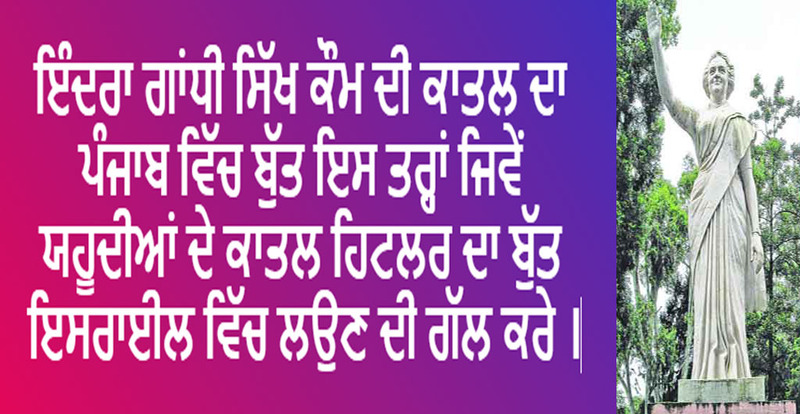 He said, “Punjabi language was not given due respect on signboards. 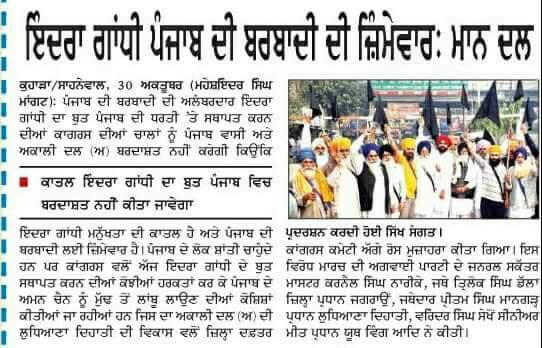 I hail the activists who protested against discrimination against Punjabi. Punjab government should immediately withdraw cases registered against the those who love Punjabi.” He also asked Sikhs to remember the Sikhs killed in the 1984 riots. “I ask all Sikhs to recite the name of God to pay homage to all martyrs got killed in riots in 1984 for at least one minute at 6 pm on November 1,” said the Jathedar.